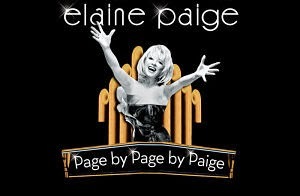 Musical theatre diva Elaine Paige has been celebrating her 50 years in show business with a special Page by Paige concert tour which ended recently but was recorded at the Royal Albert Hall, with the BBC Concert Orchestra conducted by Chris Egan and special guests Gardar Thor Cortes, and the Mountview Academy Theatre of Arts. The concert will be broadcast on BBC Radio 2 on Friday 5th December from 8.00-10.00pm. The concert features music from throughout Elaine's career, including Memory from 'Cats'; As If We Never Said Goodbye from 'Sunset Boulevard'; Je Ne Regrette Rien from 'Piaf', I Know Him So Well from 'Chess' and Good Morning Starshine from 'Hair'.